When it comes to millennials and flower purchasing, perception is key. What do they think about flowers as gifts? How about for everyday purchases? How can we change or enhance their perceived beliefs about flowers and show them the benefits? A 2016 study by the American Floral Endowment and the Floral Marketing Research Fund delved into this, and discovered key perceptions and benefits that can help you tap into this potentially lucrative market. As far as their attitude to flowers in general, millennials agree that there is great potential to personalize or customize flowers, that flowers cheer them up, and that using or purchasing flowers can be made into a fun experience. They also believe that flowers can be made more relevant to men, and – no surprise – they like to take and share pictures of flowers on social media. However, they have concerns about the longevity of flowers, the cost of purchasing them, and that they are hard to care for. When it comes to purchasing flowers as gifts, millennial consumers have good memories associated with floral gifts, and view flowers as thoughtful, personable and memorable. However, they don’t feel that they can afford more artistic arrangements, even though they like them and would prefer them. Flowers in general are not in their top gift choices, and some feel that they are more traditional gifts suitable for older consumers. Most millennials want to learn more about flowers and enjoy the experience of shopping at a florist, but don’t fully understand the benefits of flowers and how to care for them. Specifically, they agree flowers brighten up and refresh their living space, that flowers are mentally refreshing, and that they improve air quality and reduce stress. However, they don’t feel that flowers are trendy or relevant to their lives, which is an interesting point: While they believe there are benefits to having flowers in their homes, they don’t necessarily think of those benefits while shopping for flowers or during everyday life. While millennials indicate that floral products are still fairly relevant, they feel that if they were to understand the environmental and health benefits, they would be more likely to think of flowers for their everyday life. By reminding customers how flowers brighten up and refresh their homes and mindsets, improve air quality, and reduce stress, this can improve their overall value and result in more purchases. Millennial consumers perceive floral products as somewhat experience-oriented, so ways to improve their engagement could increase sales. 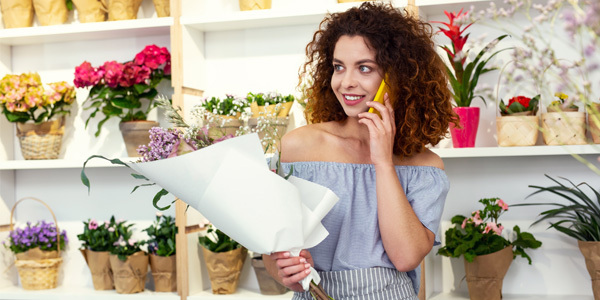 Millennials want fun activities in floral shops, as well as being able to arrange their own bouquets and to have a casual space in the store. They also value customization and personalization, and of course want to see that flowers are trendy and relevant. By tapping into millennial perceptions and beliefs, and using smart marketing to show them the benefits and relevance of flowers in their lives, millennials could become your best customers, for years to come!